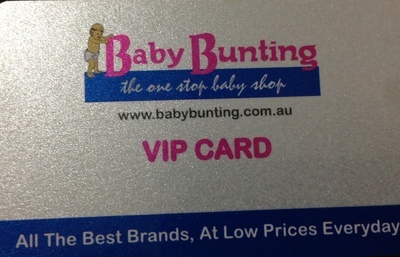 Grab yourself a Baby Bunting VIP card, and you can benefit from 5% off when shopping in store. This loyalty scheme is free to sign up to, just ask a staff member to help you get started. Once you've got your card, you can benefit from 5% off all full priced items (clearance and sales items are excluded from this offer). Baby Bunting is a fantastic store with a simply amazing range of baby and children's items including prams, cots, clothing, toys, nappies, play pens, food and everything you'll need if you're bringing a newborn home with you. Better still, Baby Bunting will price match if you happen to see an item at a lower place elsewhere (excludes listings on Amazon and ebay). This is a great place to head for all your baby shopping needs, and with 5% off all full priced items, you're bound to grab a bargain. For your nearest store click here.